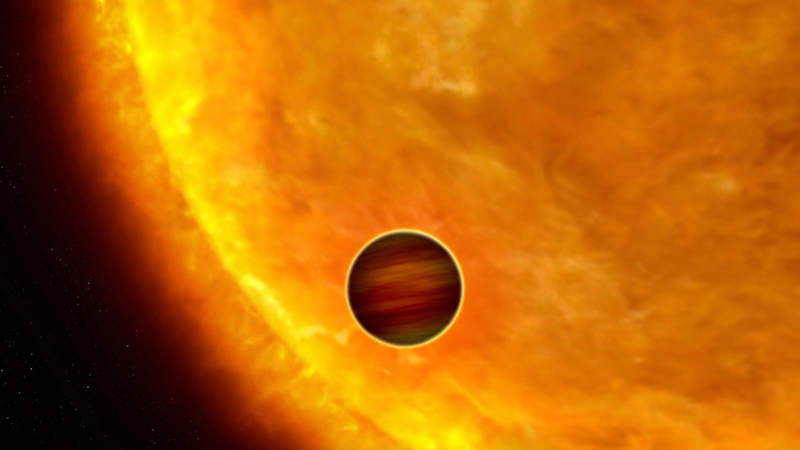 In the hunt for new planets, scientists look for stars that wobble. Astronomy student, Kevin, used this science to discover his own planet. Planet hunters use powerful telescopes to examine distant stars. Kevin Apps, a first-year astronomy student, realised that the planet hunters at the KECK telescope were looking in the wrong place. Kevin Apps recommended new stars to the KECK telescope astronomers, using an astronomical catalogue. Kevin Apps discovered a new planet which he named Kevin. Are there other planets like our own? These are the people trying to answer the big questions, the brightest and best astronomers in the business: the planet hunters. And they spend their time searching for this – a wobbling star.